Since search engine optimization (SEO) changes rapidly to match evolving standards and best practices, it’s often hard to know what tactics still work and what don’t. For instance, in the earlier days of SEO, it was common practice to stuff your pages with keywords and buy spammy links to boost your overall rankings. However, this is now seen as a negative, or “black hat,” tactic and search engines even penalize it. 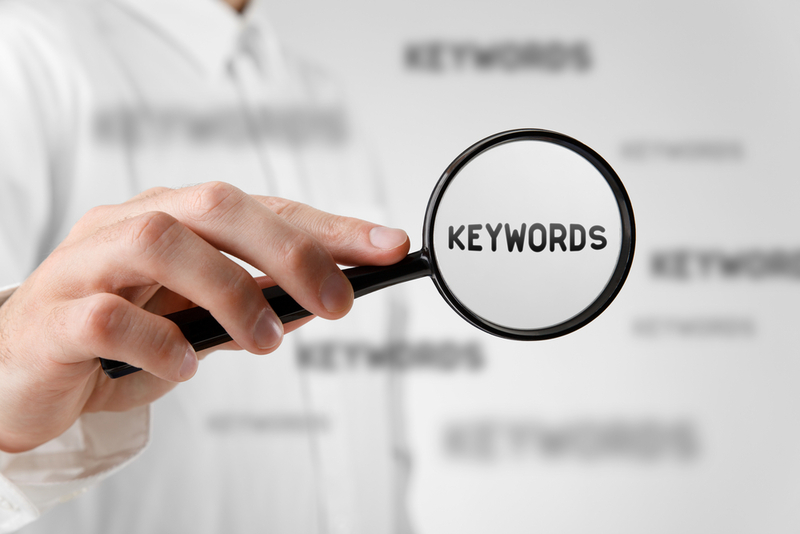 So if keyword stuffing is frowned upon, do keywords themselves still hold value for SEO? Keywords help Google and other search engines know what your content and webpages are about and help them determine whether you’re providing quality answers to searchers’ queries. These days, simply throwing continuous mentions of a keyword or phrase throughout copy isn’t enough to draw the attention of search engines. Instead, SEO is relying more heavily on unique, quality content to determine who snags the top spot. Effectively using keywords means avoiding oversaturation, writing lengthier pieces on various subjects, and knowing exactly where in your content to place your keywords. In a perfect world, your keyword is mentioned in your page title, image alt text, meta descriptions, and subheadings. It’s not the easiest thing to accomplish, especially if you’re working with some less natural-sounding keywords and phrases. When it comes to the best kinds of content for increased search engine visibility, not all methods are created equally. For instance, while infographics are excellent sources of rich media to use throughout a website to present information in a colorful, engaging way, if they’re not supported by clear, detailed content on the graphic’s subject matter, it’s hard for search engines to know how useful they are to a searcher. A few article styles are especially interesting to SEO analysts and content marketers. These include guides, how to articles, lists (commonly referred to as listicles), and valuable product and service reviews. That’s because each of these article types is commonly geared towards providing specific, actionable answers. Whether this means directing the reader to a project page, providing useful links to similar subjects, or ending with a call to action, articles that provide solutions to a searcher’s problems are seen as being highly desirable. If executing a content marketing campaign on your own sounds a little overwhelming, that’s because it can be for many business owners. SEO takes continuous time and effort to be successful, and the occasional lack of immediate results can be a turn-off for many entrepreneurs. Instead of trying to master an unfamiliar marketing tactic, why not leverage content marketing experts to do the job for you and help you achieve the results your business needs? Companies like Link Laboratory specialize in high authority link building campaigns, effective content creation, and technical site analysis to provide you with unique, engaging content that boosts your visibility across the internet. Stop spending your valuable time trying to find out how to gain links, research keywords, and develop killer content and devote your energy to the important matters, like growing and developing your business. From algorithm shifts to the introduction of new ranking factors and tactics, SEO moves a lot more quickly than you might realize. It’s often thought of as a marketing niche that seems easy enough to pick up but difficult to master. However, when leveraged correctly, SEO is an invaluable business tool that has the ability to boost authority, build brand awareness, and position your business at the top of a search engine results page. Contact the professionals at Link Laboratory to learn more about how link building and content creation can take your company to the next level.